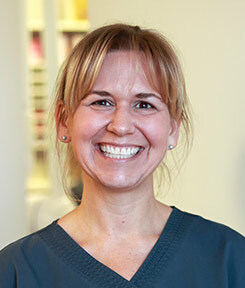 I enjoy working with a variety of people and educating patients so they achieve their dental goals. 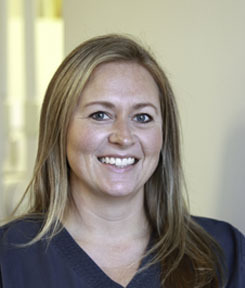 I started working in the field in 2000, as a dental assistant, and completed a dental hygiene diploma in 2003. In 2009, I joined Dr. Yazdani and my coworkers here, and love being part of a friendly, helpful team. I clean, scale, and polish teeth, take X-rays, and teach patients how to keep their oral cavity clean and healthy, so they have a beautiful smile. Outside of work, I enjoy spending time with my husband and two children. We’re very active and enjoy cottage time, skiing together, and playing ice and floor hockey, baseball, and soccer, as well as mountain biking. I enjoy teaching patients about their oral health and how it’s connected to their body’s health. When people understand that connection, they’re more likely to make healthy decisions, develop good habits, and improve their smile and overall health. While I’m cleaning a person’s teeth, I teach them about their unique dental concerns. Together, we find ways the person can improve home dental hygiene and achieve a healthy, wonderful smile. 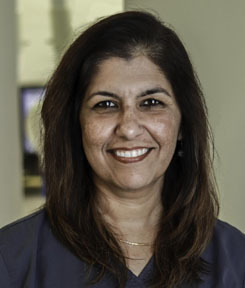 I have 27 years experience in dental hygiene and I feel our team at Yazdani Dental works together as a family. I am married with two children that study at University. Outside of work, I enjoy travelling and am involved with helping in our community. I enjoy working with people and getting to know each patient on an individual level. 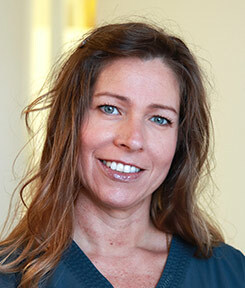 When a patient starts taking control of their oral health and I can see the difference, I’m thrilled! I started my career in 1992 as a dental assistant. Now I’m a level 2 certified dental hygienist and a part-time professor at George Brown College. While cleaning teeth and taking X-rays, I teach patients about dental health and encourage them to develop good home dental hygiene practices. When I’m not working, I’m an outdoors person and enjoy all the seasons. I love snorkelling and kayaking, and have tried scuba diving, jet skiing, boating, and paddle boarding. I also enjoy volunteering at the Volunteer Dental Outreach Program at the Haliburton County clinic, and have provided dental hygiene care for homebound disabled patients. 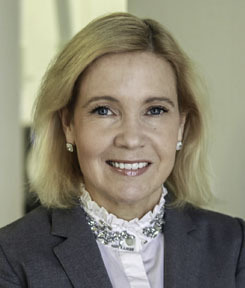 I enjoy getting to know my patients, learning about their lives and families, and building lasting connections with them. I’ve been with this office since 1977 and am still seeing some of the same patient families! Dr. Yazdani is a professional, caring, and relaxed dentist. He and our team foster a welcoming and safe environment for patients. I provide patient education and motivation, take X-rays, and examine patients’ oral cavities for signs of disease or other issues. I also clean teeth, apply fluoride, and encourage patients to develop positive dental hygiene habits. My main focus in my personal life is spending time with my husband Ken, my daughter, and my son, his wife, and their two sons. I love being with my grandchildren and taking them to fun places. I also enjoy travelling to sunny destinations in the winter and relaxing by our pool in the summer. I enjoy developing and maintaining warm and enduring relationships with our patient family. 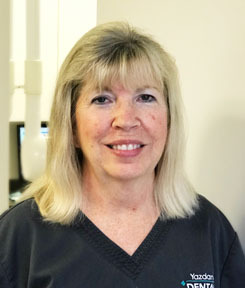 I’m a veteran level 2 dental assistant with more than 25 years of experience, and I’ve been with Yazdani Dental since 1994 when we opened! 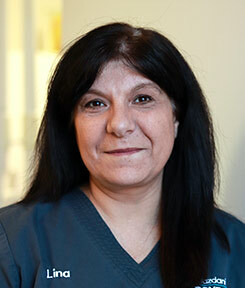 I work chairside with Dr. Yazdani, to assist with various procedures while supporting our patient. I’m also responsible for the infection control protocols for our office. I enjoy talking with and getting to know our patients, and ensuring they feel at home, informed, and know we want the best for them. 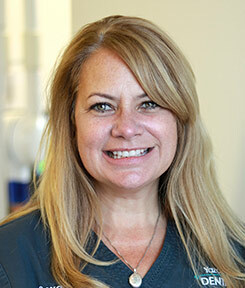 I started working in the field in 1988 and graduated from a dental assisting program in 1997. As the Yazdani Dental office manager, I oversee the practice and make sure we’re ready to meet each patient’s needs. Much of my day is spent at the front desk: handling paperwork, patient interactions, scheduling, and other processes. My free time is spent with my family, including my spouse and two children. I enjoy the outdoors and love taking long walks. I truly enjoy everything about my work. Having incredibly competent, compassionate, and kind coworkers, as well as a dentist who genuinely cares about our patients, makes this a wonderful office. I really like getting to know patients and their families and seeing them change and grow over the years. I joined Yazdani Dental in 2004 and love that we’re still caring for many of the same families! Working at the front desk, I welcome patients, assist with paperwork, answer questions about treatment, and am the hygiene recall coordinator. My time off is spent with my family. I especially enjoy our time outdoors. I love everything about my job at Yazdani Dental. I have a strong interest in constantly improving our processes to ensure our patients experience the best service possible. We have a remarkable doctor and team. Each person is professional, trustworthy, and devoted to our patients’ welfare. I joined the practice in 1995. As the practice manager, I oversee the office, accounting, and marketing. My free time is spent with my spouse and two children. I love to travel and spend time at our cottage.